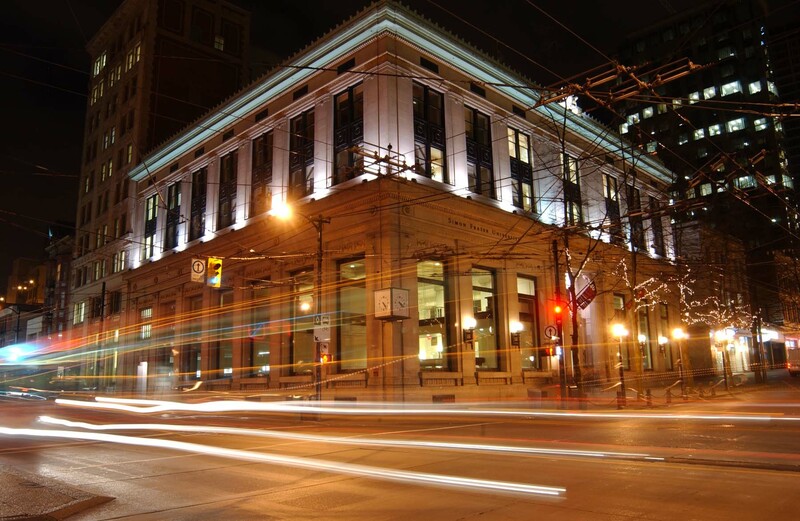 SFU's award-winning renovation of historical bank building is a venue specifically catered to meetings and conferences. Old-world charm meets high tech functionality with spaces available for meetings, seminars, presentations, banquets and receptions. One of Vancouver's iconic buildings offering flexible spaces and economical options for a wide range of venue rental needs. An artistic space situated at the historical Woodward's building site geared towards cultural arts events and gatherings. Spaces available across Burnaby Mountain including classrooms, seminar rooms, board rooms, theatres, and more.